LG launched its latest falgship smartphone LG G3 in india, As discussed earlier the smartphone has 2K display. G3 is available at a price of INR 47,990 for 16GB and INR 50,990 for 32GB. LG is also introducing a limited Big B edition of the smartphone, which comes with Bollywood Legend Amitabh Bachchan’s signature on the back. LG will only be offering 15,000 special edition units, So grab fast if you want one. The company is bundling INR 3,499 worth quick window cover and INR 5,000 worth vocher for purchasing LG G watch along with G3 and also giving INR 6,500 screen replacement service vocher, if you break it. As specifications point of view, the LG G3 flaunts a 5.5 inch QHD (2560×1440 pixels) display with Corning Gorilla 3 protection, a pixel density of 538 pixels per inch and is powered by a 2.5GHz Snapdragon 801 quad-core processor paired with Adreno 330 GPU. The smartphone is available in two versions, one with 16GB internal storage paired with 2GB of RAM, and the other 32GB internal storage paired with 3GB of RAM. 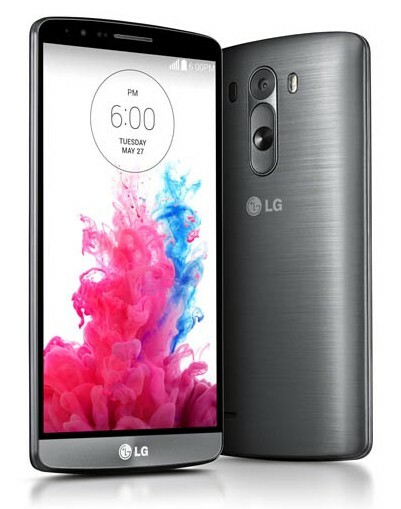 The LG G3 has a 13-megapixel rear camera with OIS+, and a laser-auto focus sensor. On the front, there is a 2.1-megapixel camera. The smartphone features a 3,000mAh battery, Connectivity options include LTE support, Wi-Fi, Bluetooth, GPS/AGPS and NFC, and on the software front, it runs on Android 4.4.2 KitKat wrapped under the company’s new UI which has flatter icons.